Both of us grew up with dogs and have continued that passion into adulthood. David grew up with Old English Sheepdogs and Jennifer’s early canine companionship was a Great Dane. From these dogs, we developed our love of big dogs. Desiring big dogs, we decided that the Leonberger was the best match of our personalities and temperaments. We both sought big goofy dogs that are furry, healthy, long lived, and gentle but playful. 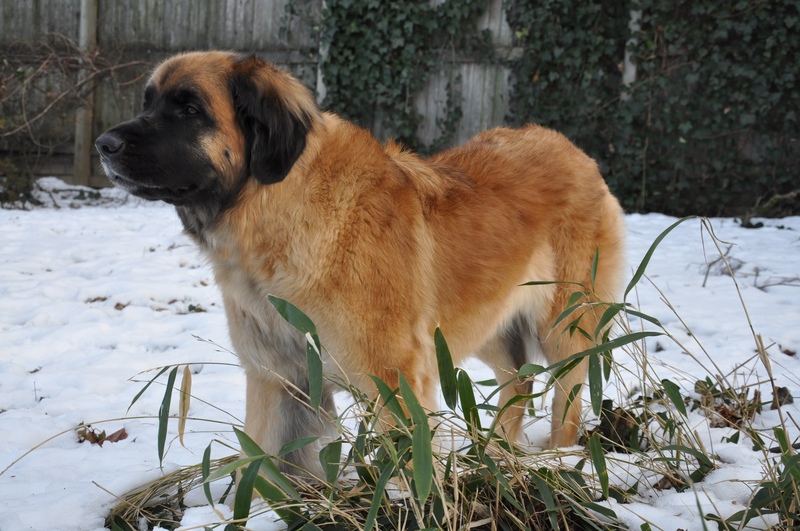 After exploring many breeds, we fell for the Leonberger. Both of us are members of the Leonberger Club of America, the parent club for Leonbergers in North America and served on the Board of Directors, with Jennifer as the Recording Secretary. David was asked by the current board of directors of the Leonberger Club of America to serve on an ad hoc committee to create a formal process for selecting judges for the National Specialty Show. Both of us enjoy showing our dogs and spend a great deal of our vacation time traveling around the United States and Canada attending dog shows. David really enjoys handling the dogs in the ring and Jennifer prefers to maintain the “set up” where she keeps the schedule orderly, makes certain the ring calls are met, and organizes the dog grooming. Jennifer seems to be the best dog groomer around! She can perform mircales with a brush or comb and hair dryer. The only breed she stays away from grooming is a Poodle, but who can blame her? David enjoys handling his own Leonbergers the most but will handle most breeds well. David has handled dogs in all groups successfully. Both of us believe that dog breeding is a wonderful opportunity to better a breed. We feel that we have a tremendous obligation to the breed and the new owners to produce only the healthiest, most sound progeny that we can. This requires a great deal of research into genetics and the history of the particular lines. Honest assessment of our line’s faults and strengths is a challenging but mandatory exercise.